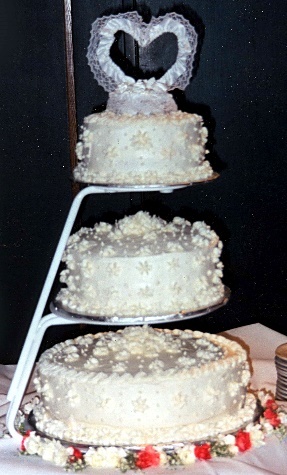 Though I've been baking since I was eight, I only made my first wedding cake in 1998 for my son's wedding. He told me that he and his bride would not have a wedding cake if I did not bake it... so a hobby was born. A few years later, I retired from teaching Home Economics and started my new hobby in earnest.